The EP-11 has a single expression pedal out that is optimized for full sweep and best performance with the pedal input on the Eleven Rack. 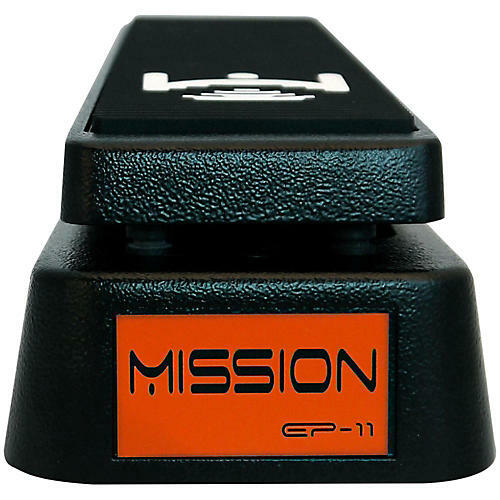 The EP-11 features a mode switch that allows the EP-11 pedal to also be connected to a MIDI controller such as the Voodoo Lab Ground Control Pro. The EP-11 comes in a black finish with orange logo to match the Eleven Rack. The Eleven rack firmware is pre-loaded with configuration optimizations for the EP-11 Expression Pedal. Black finish.